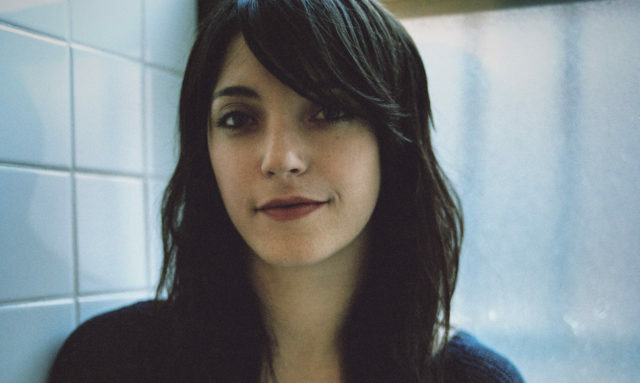 Our guest today is Sharon Van Etten. She is a singer from New Jersey who’s just released this incredible string of albums: “Tramp” in 2012, “Are We There” in 2014 and her new album “Remind Me Tomorrow” is out this Friday on Jagjaguwar. We’ve been playing her song “Comeback Kid” on 88Nine. Justin Barney: Sharon, what’s the last song that you couldn’t stop listening to? Sharon Van Etten: The last song I couldn’t stop listening to… there’s been a handful but I guess, do you know Tirzah? Justin Barney: I do not. Sharon Van Etten: She has a song called “Gladly.” I think she is or she’s about to be a new mama and I think she’s from from the UK. That song “Gladly” has just been in my head. Sharon Van Etten: It’s got a cool beat, but it’s super minimal and you can hear the nuances in her voice and her phrasing and it’s optimistic but it’s kind of heavy. It’s a feel good song with a deceptively simple riff. I don’t know, it’s just a good jam. Check our full interview with Sharon Van Etten here. Song two this week is my pick. One thing that I can’t stop listening to is “The Soldier’s Tale,” narrated by Pink Floyd’s Roger Waters. “The Soldier’s Tale” is this play that was written by Igor Stravinsky and C.F. Ramuz in 1918 and it is based on this old Russian folk tale, which alone, this premise – I am sold. Roger Waters reading a play from 1918 written by Stravinsky? I’m down. Originally it was meant to be read, played, or danced, in this case, Roger Waters reads it and is accompanied by this beautiful music. This story kind of makes sense for Roger Waters to do, it is about this Russian soldier who is a violinist and he’s down on himself he meets the devil in all of his charm on the side of the road and he trades the devil his violin for this book on how to make gold. So essentially it is a story of a musician who gives up his talent and means to make music for monetary gain. And then – I don’t want to ruin it for you, but the story moves on from there. The whole thing is this mixture of spoken word and beautiful orchestration. Roger Waters himself is a really great voice actor; he does six characters in it, he makes them all different, he gives them all slightly different voices, it’s also really really recorded well – which, it’s just beautiful to hear something that’s was recorded just so perfectly. There these bits of orchestration that come in and then on top of all that, it’s just a wonderful story and a really interesting piece of culture and an interesting move for Roger Waters. Overall, just a really interesting listen. 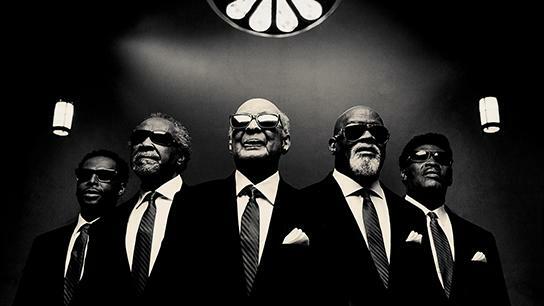 My guest today is Jimmy Carter, founding member of “The Blind Boys of Alabama.” They are a gospel group that first sang together in 1939, they have five Grammy awards and they have given comfort to generations of listeners. They are coming to Milwaukee on January 26, playing at the Wilson theater at Vogel Hall. Justin Barney: Hey Jimmy, what are you up to? Jimmy Carter: Well, right now I am sitting in a restaurant about to eat some ham and eggs, my friend. Justin Barney: Well I’ll make the interview quick then! Justin Barney: I want to talk about music with you for just a second. Could you tell me, what’s the last song you couldn’t stop listening to? Jimmy Carter: The last song I couldn’t stop listening to…Well that’s a good question, huh. Let me answer your question this way: Our song, is “Amazing Grace,” so that’s the one, it’s hard to stop listening to that one. Jimmy Carter: Well it tells us, had it not been for “amazing grace,” God’s amazing grace, we wouldn’t be here, see. We give all the thanks to God, we are a Christian gospel group, we are not perfect but we try [laughs]. We do our best. Justin Barney: Do you have a favorite person who does that song? A voice you think who captures it? Jimmy Carter: I’m a country music guy, so George Jones did it, I love his rendition. I also love the Blind Boys rendition too. Justin Barney: I like George Jones too, I love George Jones. Jimmy Carter: I love George Jones myself, yep. Justin Barney: Alright we’ll play that version, we’ll go with George Jones’ version of “Amazing Grace.” Now you can get back to eating your ham and eggs. Jimmy Carter: Okay my friend. Justin Barney: I am here with your morning show host, Dori. Waddup?! Dori Zori: Oh my gosh Justin, I just might have the catchiest song of all time in all of the lands for you today. Justin Barney: Alright, what is it? Dori Zori: Alright so, let’s start. My reignited love affair with the song started a few weeks ago when I was showing a music video for it to some of our 88Nine family because not only like, the who’s who of Milwaukee is in this video and shows a lot of cool locations around town but it also features our very own Jordan Lee driving around the artist and a bunch of Milwaukee artists in his big old ‘86 Mercury Marquis. Justin Barney: Oh my god what song is this? Dori Zori: Alright it’s Kid Millions. He’s also a part of this Milwaukee group “Sounds of Time” that we’ve been playing. But back in the late 2000’s he released a song called “Victim to the Beat,” I played the heck out of it when I was at WMSE. But you couldn’t go anywhere, to any bar, any club without a DJ spinning this jam. So it’s been in my head ever since we looked at that music video giggling about Jordan’s long hair. And baby face. 5. “Siren 042” by Lala Lala and Why? The final song this week is my pick. This song starts slow and then Lillie West starts with an apology. To have a blank page in front of you, as a songwriter and feel the need to start by saying, I’m sorry. And then she goes on to say, “This is the punishment, it’s exactly what I wanted. This is the punishment, oh how I always get excited.” And I get that because when that punishment happens, when the hurt from that punishment comes it’s the beginning of the end. The hurt from the punishment is the burden being lifted. It’s over. Whatever it was. There is no album announced from this collaboration yet, but our fingers are crossed.